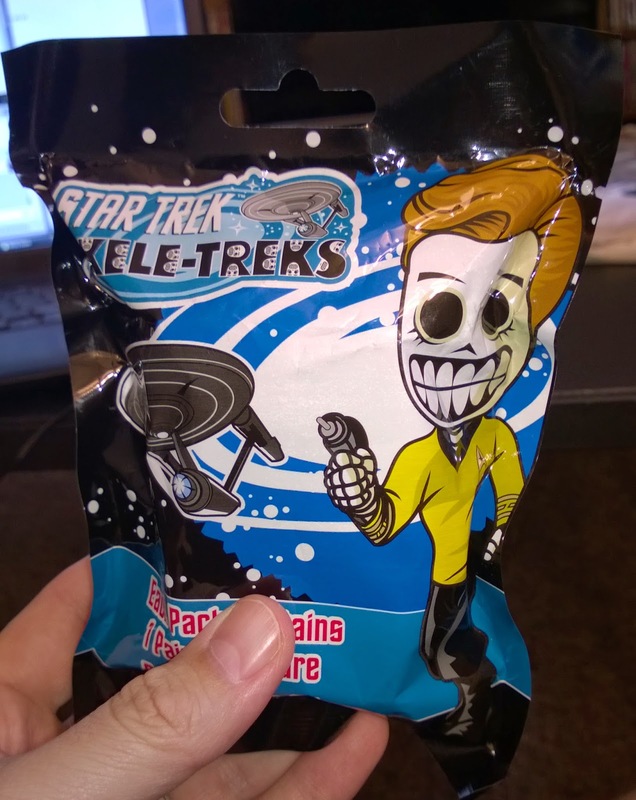 What the heck are Skele-Treks? They are sort of like Star Trek zombies but in the tradition of the Mexican Day of the Dead. I found mine for $2.99 here in Lawrence at my local bookstore/movie/comic shop Hastings. We've got six options and I'm pretty existed that only one of them seems to be undesirable. That forth character from the left me wondering who that is? Was it just some operations officer from Star Trek: TNG? With a little researching it looks like that character is supposed to be Data. And so what did I get? 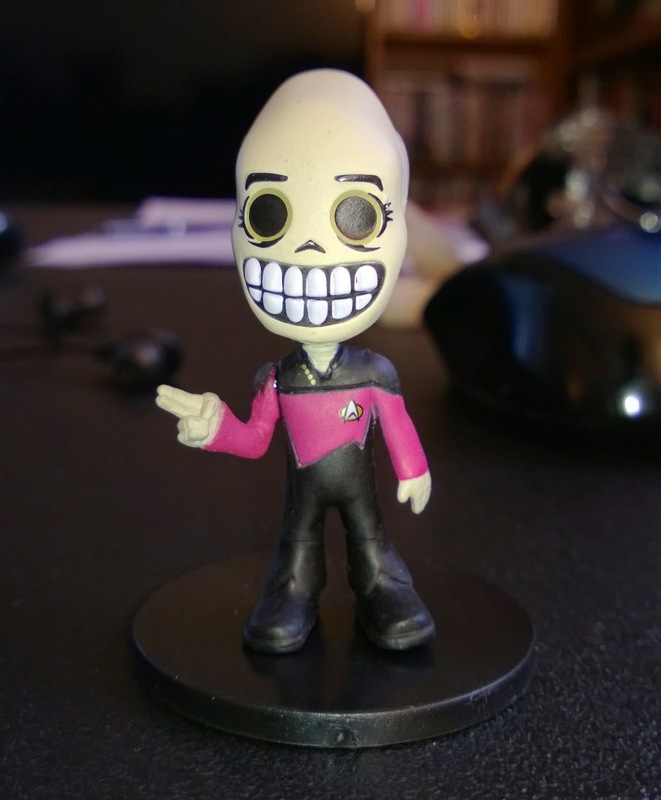 A Captain Jean-Luc Picard figure who is "making it so." And it's worth mentioning that the figure is detachable from the base. Now if only you could push a button and it would say this. I'd have to agree that Data is probably the least favorite, but I'd love the whole set, being a huge Trekkie! Locutus is pretty cool, and my wife has a Klingon Bat'Leth signed by several of the actors that portrayed Klingons on the show(s)! The Gorn and Klingon also appear almost normal (less Dead of the Deadish?) which is very cool as well. I have not seen any of these out here on the east coast. Hell, I'm still trying to finish my Nightmare Before Christmas and Big Bang Theory figure sets as well as the Teenymatesset too!! AAHHHH! another to chase down! !